These Shaker chairs have the traditional horizontal slat back support, 42" high back and long finials that characterize a traditional ladder-back design. This Shaker furniture is Amish handcrafted in Pennsylvania using Old World craftsmanship techniques. 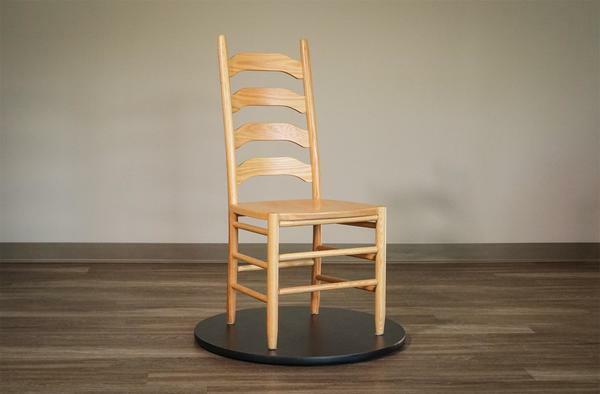 You can choose to have these chairs made in oak, cherry, hard maple or brown maple. The most popular choice for Shaker chairs is cherry wood with a natural finish. Shop all of our Amish Shaker furniture today online, over the phone or at our brick and mortar store in Sarasota, Florida.